Our Australia Day quiz focused on historical crime fiction or the history of crime fiction in Australia. A. Geoffrey McGeachin won the 2011 Ned Kelly Award for The Diggers Rest Hotel. The novel is set in 1947. Here at Fair Dinkum HQ we loved this book, here’s Kerrie’s review and mine. A. The first Ned Kelly Awards were in 1996 and there was a tie between Barry Maitland for The Malcontenta and Paul Thomas for Inside Dope. A. Arthur Upfield created the character whom he named Napoleon Bonaparte after the French Emperor and well known short bloke. A. Ellen Davitt published a book called Force and Fraud: A Tale of the Bush (But we accepted Force and Fraud on its own too as this is its better known title). A. The Australian arm of Sisters in Crime awards the Davitt awards each year to the best crime writing by Australian women. Check out last year’s list of winners. A. Great Expectations published in 1861 featured a character called Abel Magwitch, a totally unsavoury chap who was an unwilling Aussie, being sentenced to life as a convict and sent here from England (though he eventually becomes a rich businessman). This question proved a contentious one with some respondents suggesting 1838’s Oliver Twist because the Artful Dodger is sent to a penal colony but from what we’ve been able to glean (no I didn’t re-read the book) it is never explicitly stated in the novel that he is sent to Australia whereas Magwitch is definitely sent to New South Wales. Charlotte Jay’s Beat Not the Bones. The winner of Sulari Gentill’s MILES OFF COURSE is Stan Lanier of somewhere in America (we’ve sent you an email asking for your snail mail address Stan). I hope you enjoy the book as much as I did and if you need any help with translations from Australian just ask. Thanks to everyone for entering and stay tuned for another quiz some time soon. Today is Australia Day and the first anniversary of the site’s re-launch as one dedicated to reviewing and discussing crime fiction by Australians or about Australia. 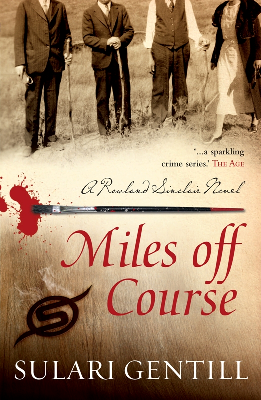 To celebrate we’ve got a brand new copy of Sulari Gentill’s third crime novel MILES OFF COURSE to give away. The novel is set in 1930’s Australia and I think it’s a corker. It will be officially released on 30 January when I’ll also post my review. Here at Fair Dinkum HQ we think you should have to work a little for your prizes so we’ve devised a quiz with a historical theme. These questions either relate to historical Australian crime fiction or the history of crime fiction in Australia. If this is not enough Australian-themed quizzing for you feel free to test your Australian IQ with this quiz from our local paper. It’s nothing to do with crime fiction but it certainly is Aussie (full disclosure I scored 20 out of 25). Happy Australia Day to you all and if you need some extra motivation to enter the quiz look out for my review of MILES OFF COURSE in a couple of days. I think it’s Sulari Gentill’s best book so far. Entries must be received by 5:00pm (ACST) on Friday 3 February 2012. Thanks to everyone who entered our second quiz (where you had to tell us which 5 of the items on the list were books and which 5 were band names). Thanks to The Randomiser we have a winner of the shiny new copy of Katherine Howell’s VIOLENT EXPOSURE and it’s Dawn who is one of the blog’s Aussie readers. We’ll be posting the book shortly Dawn. The Vaults of Blackarden Castle – a book (by prolific Australian writer Arthur Gask, I know nothing else about it other than that there’s currently a copy selling for £63+ pounds at Abe which seems rather a lot but I guess that’s what happens when books are out of print). Thanks again to all those who played along, I think we have some more goodies floating around Fair Dinkum HQ so we’ll have another quiz soon. To celebrate our 150th post here at Fair Dinkum Crime (doesn’t everyone celebrate the big 150?) 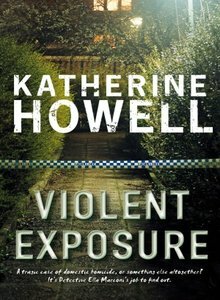 we’ve got a copy of Katherine Howell’s latest novel VIOLENT EXPOSURE to give away. Kerrie and I both liked the book a lot (as you can tell from her review and mine). The book has been freshly delivered from the publisher so it’s in pristine, un-read condition too. As part of our celebrations to mark Aussie Authors month we hosted a quiz, setting what was apparently a difficult set of questions if the number of entries is anything to go by. However, 2 brave souls not only entered but got all 13 answers correct (and several of you got very close). We put the names of the two people who got all 13 right in a virtual hat to select which of them gets to select 2 from the 6 available books first. So, first prize goes to J F Norris and second prize to Bill Barnes. You’ll be receiving emails from us shortly to make your selections and then we’ll send off your packages. Now, for the answers you’ve all been waiting for. 3. 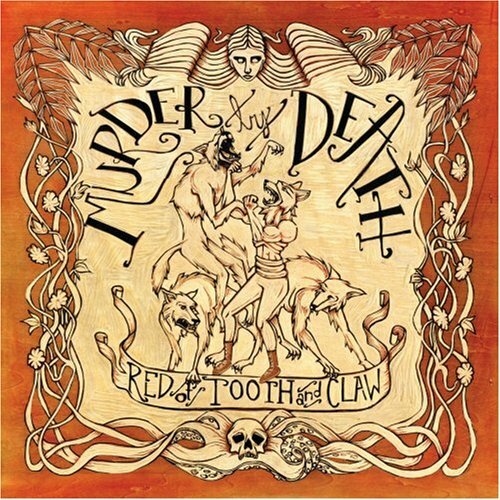 A stroke victim, laid out “like a fish on a slab”, hears people in the house plan a murder. What is the novel and who wrote it? THE WHISPERING WALL by Patricia Carlon. The book was first published in 1969. It was only after her death that it became generally known Carlon was profoundly deaf which does make you look at the plots of her suspense-filled novels often featuring people in isolation in a different light. 4. What won the 2002 Ned Kelly Award for best novel? DEATH DELIGHTS by Gabrielle Lord, the first in her trilogy featuring Canberra-based forensic scientist (and ex NSW cop) Jack McCain. 5. Whose detective has a wooden, and then later a titanium, leg? Marshall Browne’s Inspector Anders who first appears in 1999’s THE WOODEN LEG OF INSPECTOR ANDERS which is based in Rome. The book won the 2000 Ned Kelly Award for best first fiction. 6. Whose debut novel featured Senior Sergeant Cam Fraser? Felicity Young’s A CERTAIN MALICE, set in Felicity’s home state of Western Australia. 7. Where might you find Corinna Chapman and who created her? In the bakery Earthly Delights, just off Flinders’ Lane in Melbourne in the 5 books (so far) created by Kerry Greenwood (we had all sorts of variations on this answer but we accepted all the ones who got the basics right). 9. Who are the two actors who have played the lead character from the Arthur Upfield books in television adaptations? 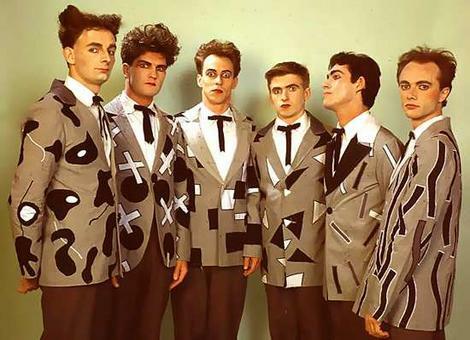 The character is Napoleon Bonaparte and the actors we were looking for were James Laurenson (who played the role in the 1970’s) and Cameron Daddo (who played it in the 1990’s). English actor Jon Finch was originally selected for the 1970’s job but he made himself unavailable before shooting started which is when New Zealander Laurenson got the gig. 11. Malla Nunn, Angela Savage and Brian Kavanagh set their most well known Aussie crime series in which far-away (from us) locations? South Africa, Thailand and England respectively. 12. The main character of Leigh Redhead’s books is a private detective now but before that what job did she hold? Private Investigator Simone Kirsch used to be a stripper and lives in St Kilda in Melbourne. 13. Name two crime writers who were born in South Australia (the home state of your Fair Dinkum Bloggers)? We accepted any of these names Max Afford, Tess Brady, Kirsty Brooks, Garry Disher, Charlotte Jay, A E Martin, Paul McGuire, or Leigh Redhead. I will admit that a couple of these were new to me (shame on me). To further help celebrate Aussie Authors Month we’re offering a selection of slightly loved books (i.e. bought new, read once) from some great Australian authors as prizes for our inaugural quiz. In keeping with our baker’s dozen theme there are 13 questions ranging in difficulty from ‘googlable’ to ‘should probably have read a few posts on Fair Dinkum before attempting this quiz’ to ‘oh heck I hate quizzes’. Please email your answers to us (don’t put your answers in the comments, we’ll only delete them). The competition is open world-wide BUT entrants from outside Australia may have to wait on surface mail for their winnings (our choice of mailing option will depend on where you live and surface mail can take 3 months to arrive in some countries). All correct entries will go into a random draw from which we’ll select a winner and a second prize getter. If there are no entries with 13 correct entries then all the entries with 12 correct answers will go into the random draw. If there are no entries with 12 correct answers then… (you get the point I’m sure). Second prize: your choice of 1 of the books remaining after the winner has selected their goodies. Which Australian writer won the very first Edgar Award for Best Novel? A stroke victim, laid out “like a fish on a slab”, hears people in the house plan a murder. What is the novel and who wrote it? What won the 2002 Ned Kelly Award for best novel and who wrote it? Whose detective has a wooden, and then later a titanium, leg? Whose debut novel featured Senior Sergeant Cam Fraser? Where might you find Corinna Chapman and who created her? Australia’s Minister for Immigration (ALP) has been murdered in her Canberra apartment in which novel? Who are the two actors who have played the lead character from the Arthur Upfield books in television adaptations? Which bridge does a woman jump from in the opening of Michael Robotham’s SHATTER? Malla Nunn, Angela Savage and Brian Kavanagh set their most well known Aussie crime series in which far-away (from Oz) locations? The main character of Leigh Redhead’s books is a private detective now but before that what job did she hold? Name two crime writers who were born in South Australia (which is also the home of the Fair Dinkum bloggers).